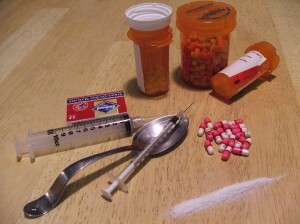 Opiate drugs cover a wide range of different addictive forming products that a loved one can easily abuse. There are several different drugs that fall into the opiate category of drugs including heroin, codeine, morphine, Dilaudid, methadone and Oxycotin. These different drugs not only are habit inducing, but they eventually reduce the quality of health and can lead to some rather serious side effects. You don’t want to see your loved one go down the slipper slope of addiction which is exactly why you need to look into detox from opiates. The detox from opiates is going to help your loved one battle through the problem by ridding their body of the addictive material. From there, it is then possible to improve the quality of life and move on with the treatment. Some of detox from opiates options are going to tackle different symptoms that are associated with the drug. The kinds of symptoms that come about during the detox process is going to vary, depending on how long the individual has been using the drug for. With the early symptoms of withdrawal your loved one is going to experience agitation, muscle aches, increased tearing, anxiety, runny noise, insomnia, yawning and sweating. However, there are later symptoms of withdrawal that start to occur after they have been going through the detox process for several days. Some of these symptoms are going to include abdominal cramping, vomiting and nausea, diarrhea, dilated pupils and goose bumps. These symptoms typically occur within the first 12 hours if your loved one has been using heroin. However, if they have been using one of the other drugs they probably will not start seeing the late symptoms until 30 hours or so. Unless you have gone through a detox from opiates before, chances are it is going to be much better for you to seek out the professional assistance of a treatment center. While you can do this on your own, you probably are going to see that it is extremely difficult to see your loved one go through this sort of a situation, and unless you stay with them at all times in a safe location, it is far to easy for them to escape and look for the drug to satisfy their cravings. The first several days are always the most difficult, both on you and on your loved one. This is why, one of the best decisions you can make is to contact a treatment center that knows exactly what is going to take place and what to prepare yourself with. It is so hard to watch a loved one go down the slippery slope of drug addiction. This is why, should your loved one deal with an opiate addiction, you need to find a way to provide detox from opiates. The detox from opiates process is difficult for both you and them, but as long as you know what to expect and even seek out the help of a professional service and treatment center, it should be that much better.